All things from the hotel selection I made, Swiss travel pass, Food, Travel, Switzerland VISA, I have written in depth for you. To my experience … Switzerland tour is a must for a nature lover and worth visiting once in your lifetime. Within last two years I have given guidance to almost 100 couples / families for travel FREE of cost, and also happy to provide assistance for Airlines and Swiss rail pass + hotel bookings, so feel free to fill above form to get complete package for Switzerland or even Europe. I will be happy to assist, only to filter out unsolicited calls and messages please fill in above form. Souvenirs, chocolates, watches and wine …. Further I have also written in details about …..
switzerland is a very Beautiful country and there are lots of nature, beautiful places for wander and more thank you for sharing us. Hi Amit, visited your website, but honestly I could not find it interesting due to the fact that it does not indicate by prices for the packages as well as details, which are shown on all major sites like makemytrip, this is extremly important to take initial assessment for interaction with the travel company in my opinion. awesome guide !! really helpful in planning our own trip. .
one thing I want to ask. . we are going for 5 days. . and the golden pass is like for 4 days. how should we manage on the 5th day? any idea? Thanks for posting such a detailed plan. Appreciate it. 1. Where did you buy your swiss pass from? And how many days in advance? 2. Any advice on sim cards? Is it necessary that the bank balance should be shown in the salary account only for visa application? I have a separate savings account where I normally maintain balance while i donot keep any balance in Salary account. Is it okay to show both and do we need to give a justification? If you have gone before to Europe, UK or USA then is it bit easy to get VISA, if not then better to show as much balance/salary account to avoid VISA rejection. Don’t worry you get all the papers back from them 🙂 I also thought of this thing, but then travel agent explained me the necessity & it went through smoothly 🙂 So my suggestion submit all bank account details. Cheers !! 1. do we need to have any vaccination record for entry in Switzerland? 2. Do we need to endorse the currency on passport? What kind of goods are you referring to here? The information here is priceless. The description of thee tire process cannot be had anywhere. Where did u keep the luggage while doing Rhine fall ? I was searching for Switzerland Tour Packages from India and came across your blog, this shows the Best Tour Package for Switzerland 🙂 … I will be able to enjoy own planned Swiss tour with flexibility as well as affordable cost than the professional travel companies … Thank you for sharing … I am sure my Swiss tour will create memories for lifetime. I was stayed at Sonne Hotel at Interlaken for 3 days , Hotel Ammbasador at Lucern for 3 days and Zurich at Hotel Du Theatre for 3 days all hotel was Very Good and near Station . I had Swiss pass for 8 days and remaining 2 days from City tour Bus at Zurich. I believe this is among the such a lot significant information for me. And i am satisfied studying your article. But wanna statement on few basic things, The site taste is ideal, the articles is truly nice. Thank you for preparing me in advance. Thanks for the nice article I found a lot of interesting information in this. 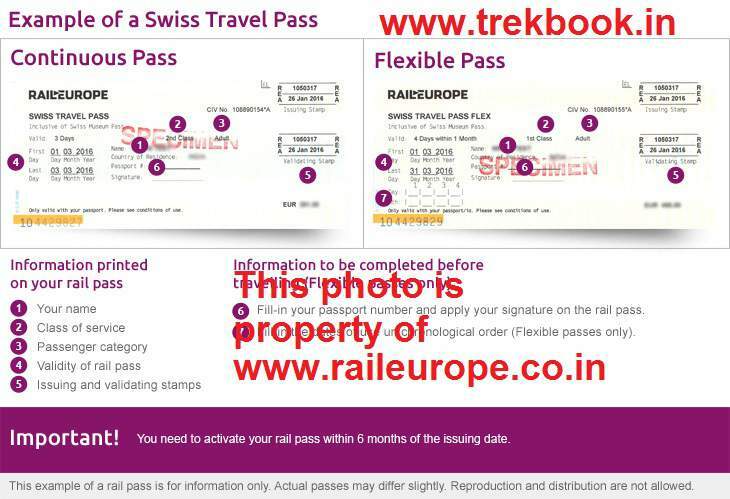 I just want to know whether it is possible to purchase Swiss Travel pass from India and print it at home here before travelling to Switzerland and how to do it. Hey very nice information!! It helped us a lot to plan our 10 days fantastic Switzerland trip ? Thanks a lot for your efforts and guidance!! We too have planned for Switzerland in coming week i.e. 10th June 2018, Can you please suggest if we can buy the cable car/Gandola ride tickets after reaching Engelberg? Since it will be a peak season, will it be too crowdy or will we be able to get the tickets on spot without any much delay? What will you suggest- getting the tickets purchased online or on the spot? We too have planned for Switzerland in coming week i.e. 10th June 2018, Can you please suggest if we should buy the cable car/Gandola ride tickets after reaching Engelberg? Since it will be a peak season, will it be too crowdy or will we be able to get the tickets on spot without any much delay? What will you suggest- getting the tickets purchased online or on the spot? And through which website we should buy the online tickets. Yes we are having Swiss pass with us.